Join us for a free family-oriented partnership event in downtown Flint. 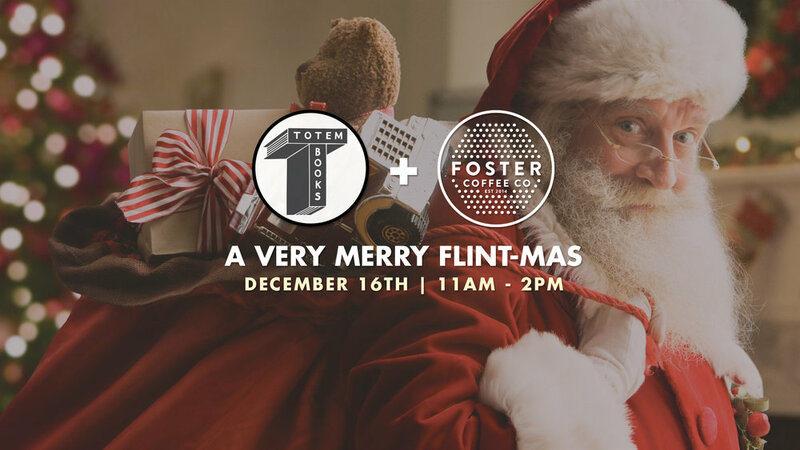 Totum Books and Foster Coffee Co present "A Very Merry Flint-mas." Join us at Totum Books for Christmas stories and crafts for kids. Then head over to Foster Coffee to meet Santa, get your picture, and enjoy a free snack. Don’t miss the fun this Saturday in downtown Flint!